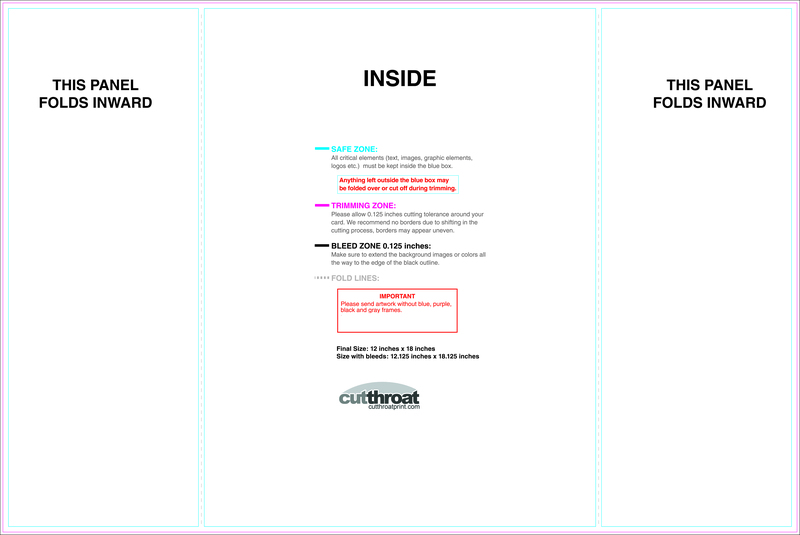 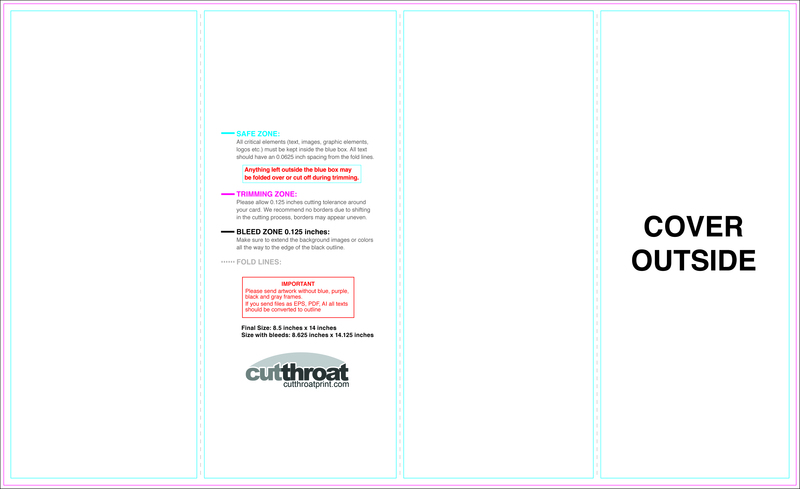 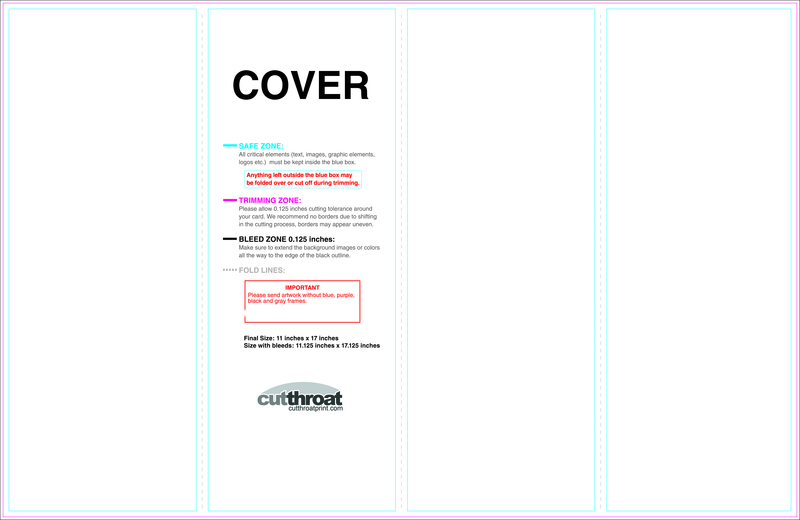 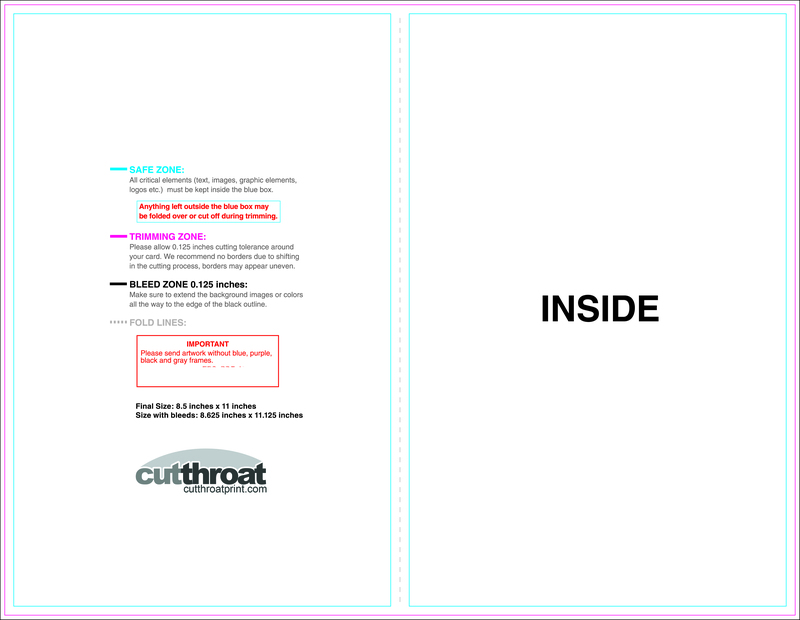 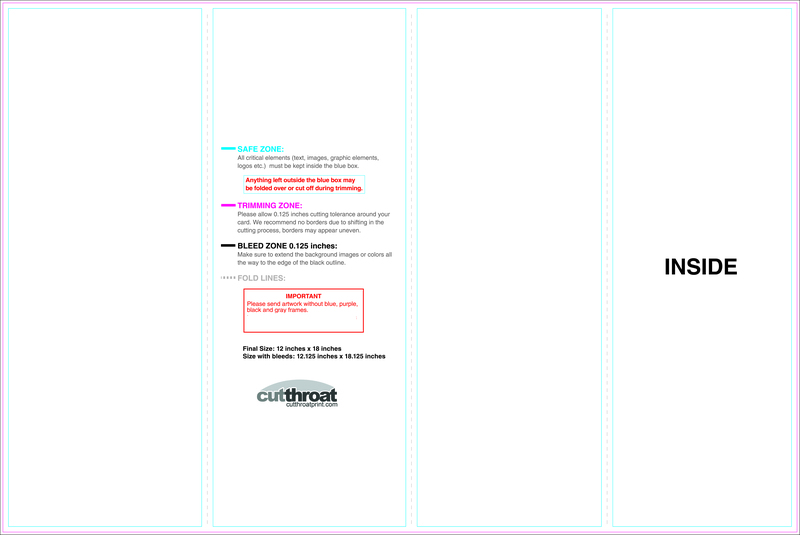 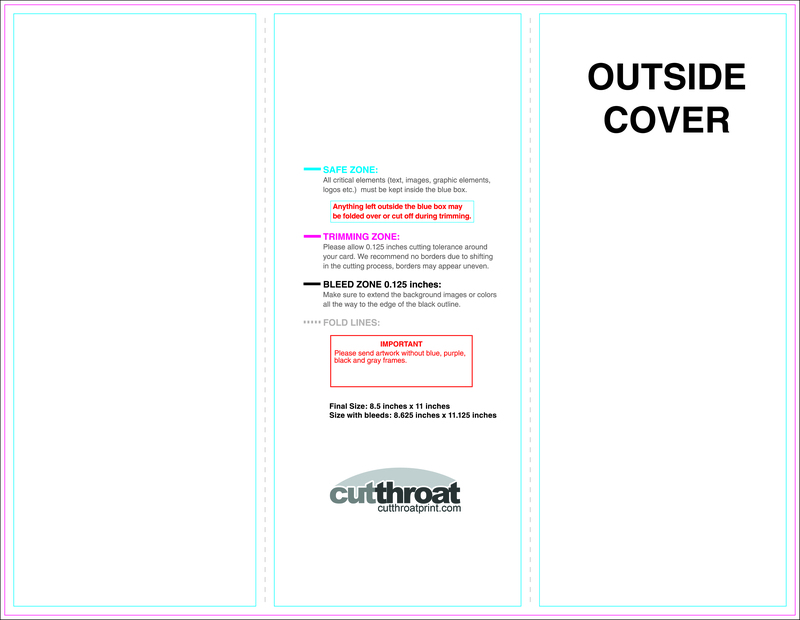 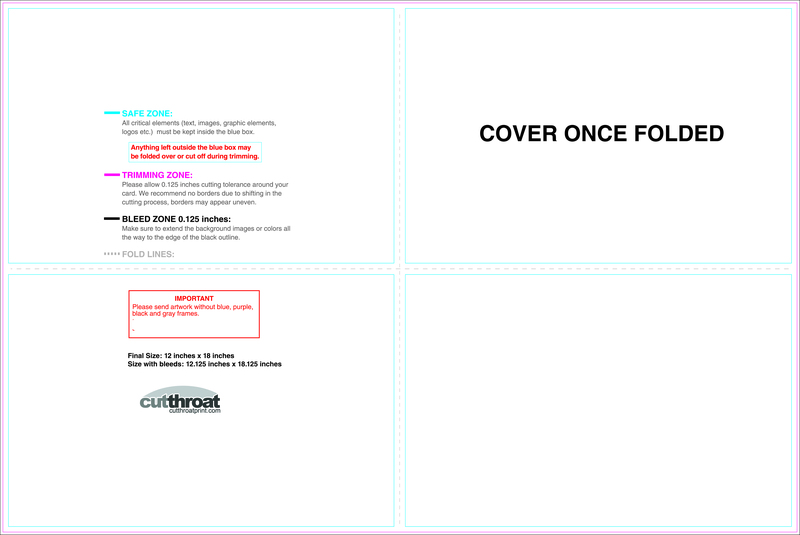 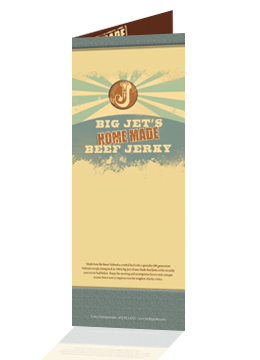 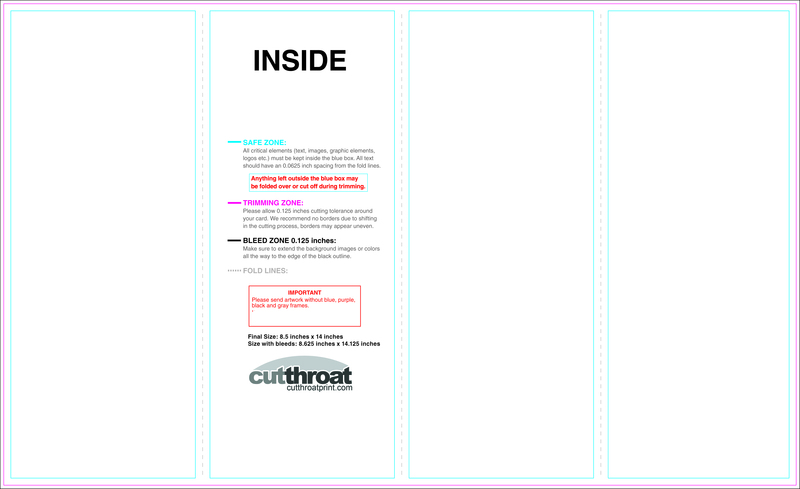 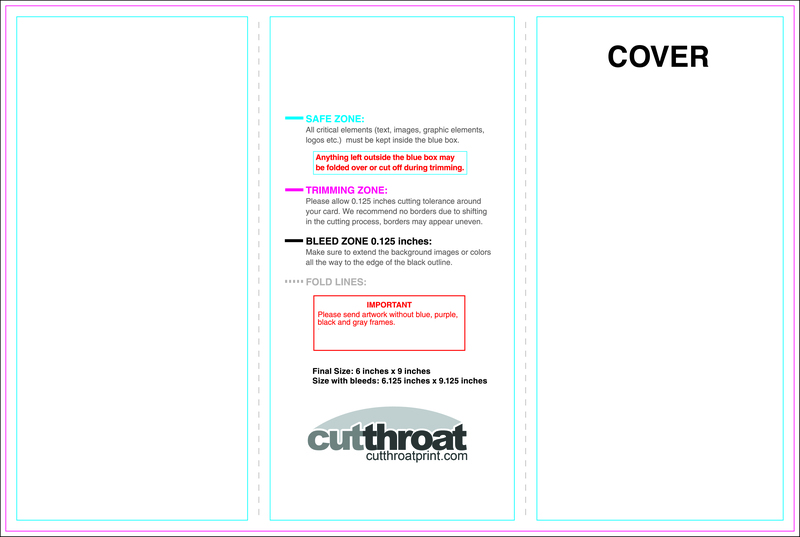 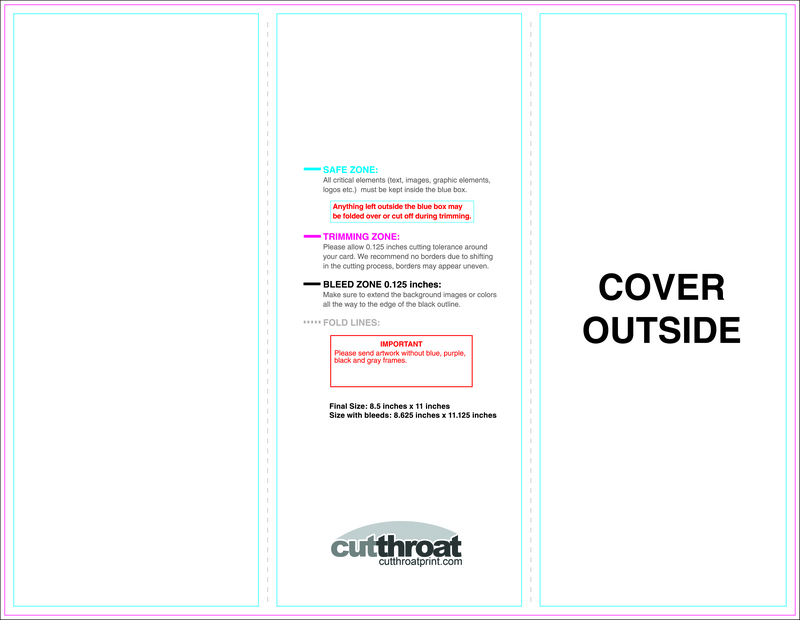 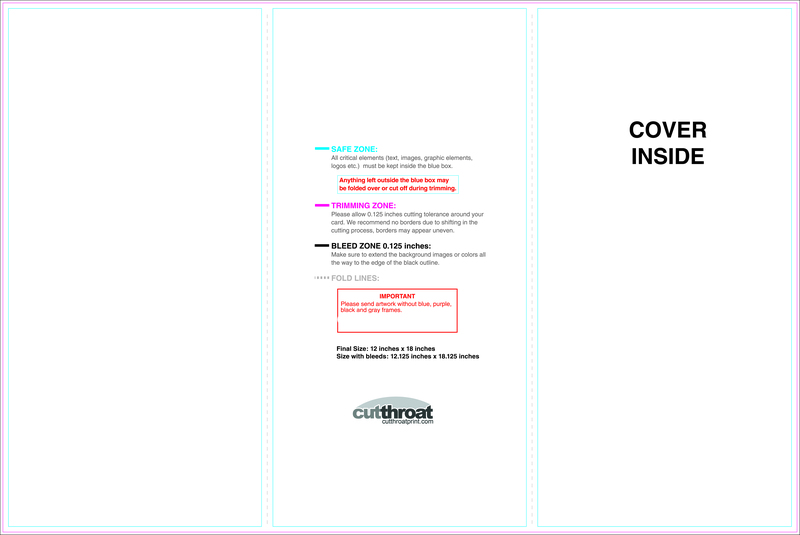 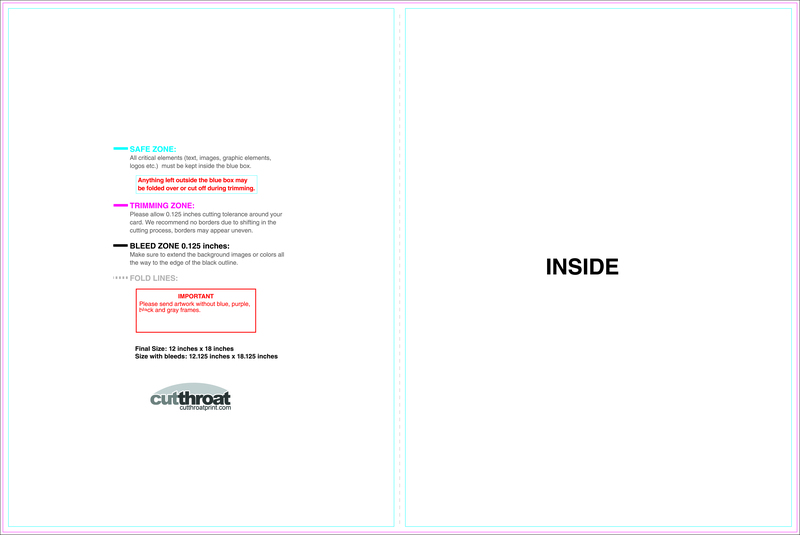 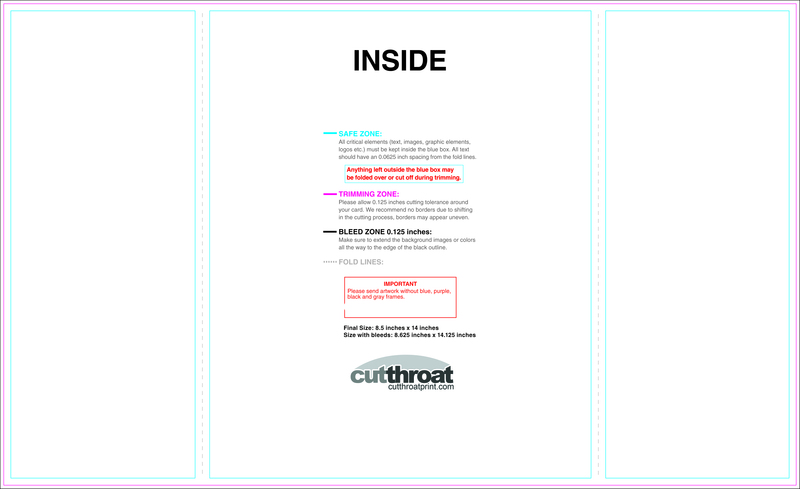 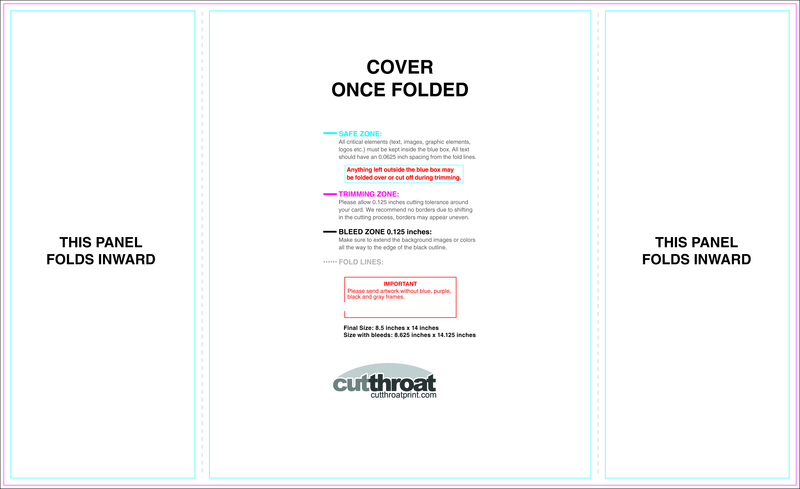 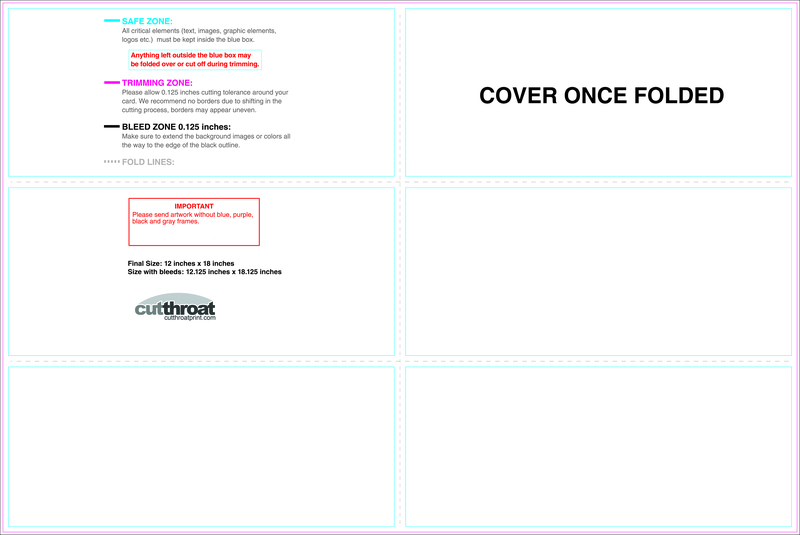 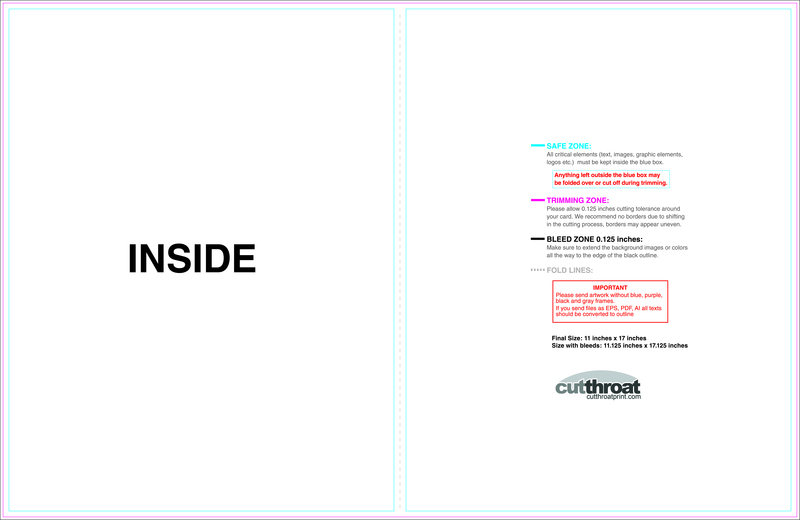 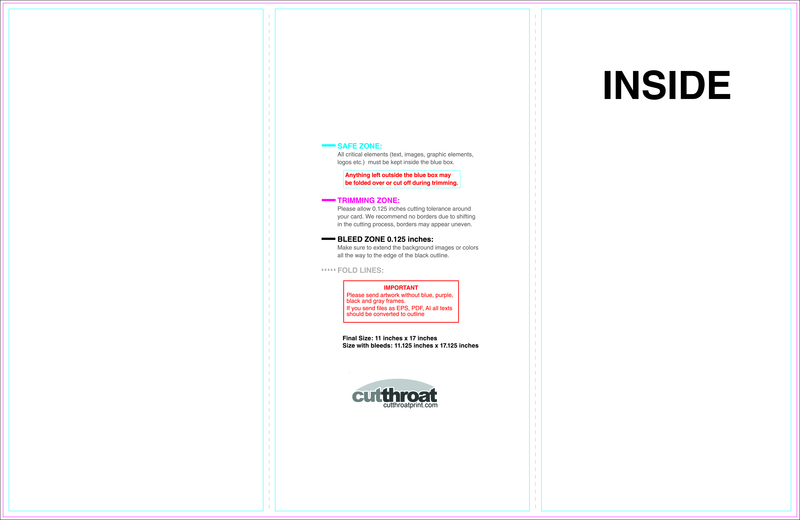 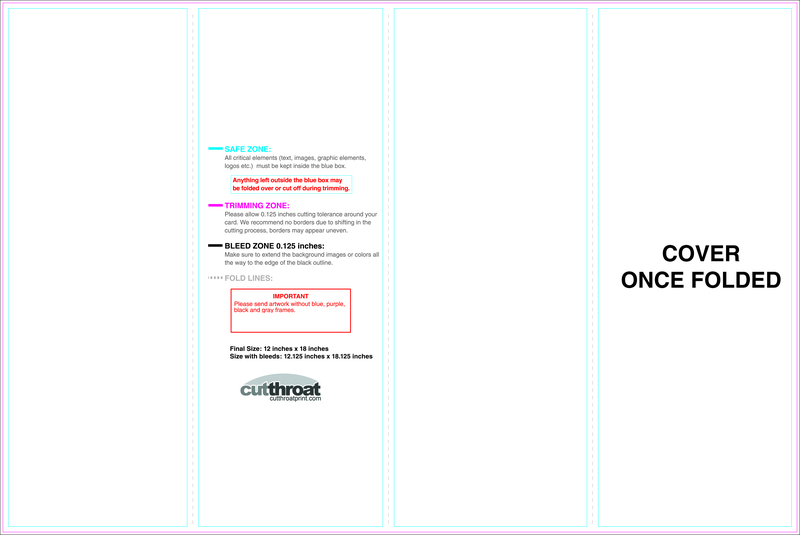 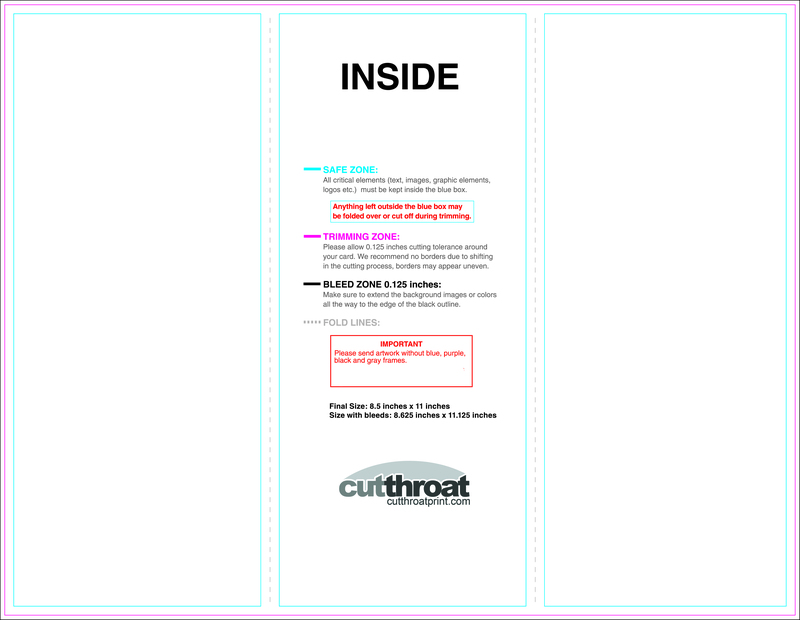 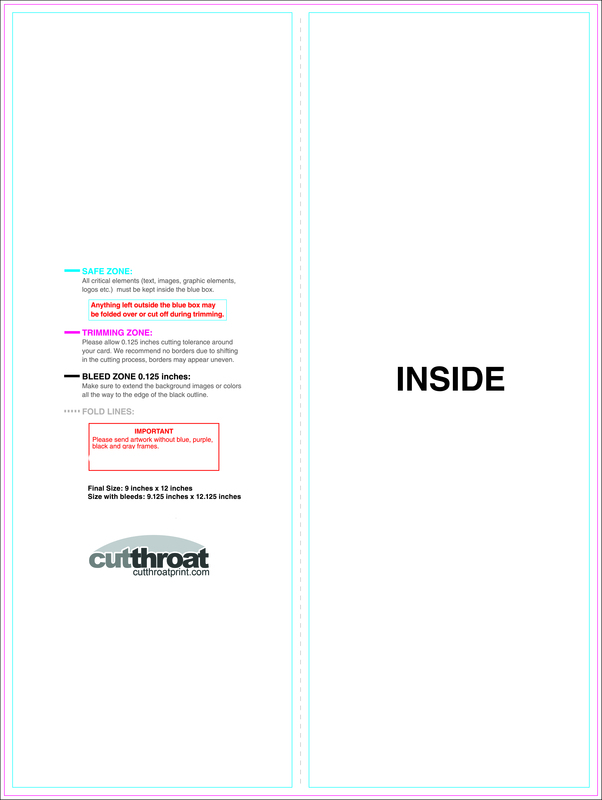 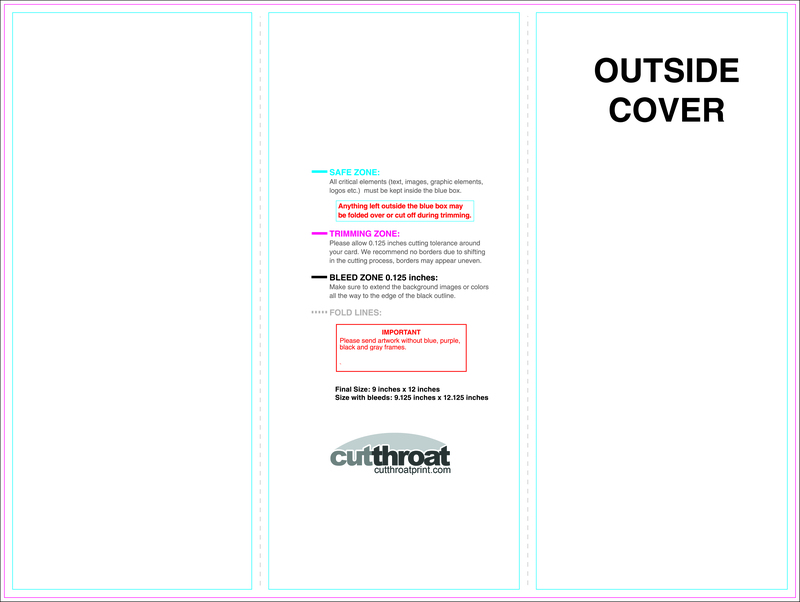 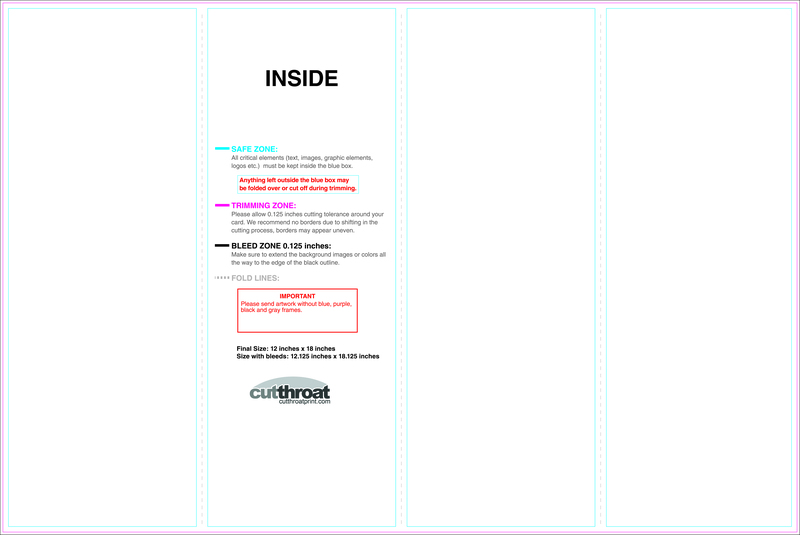 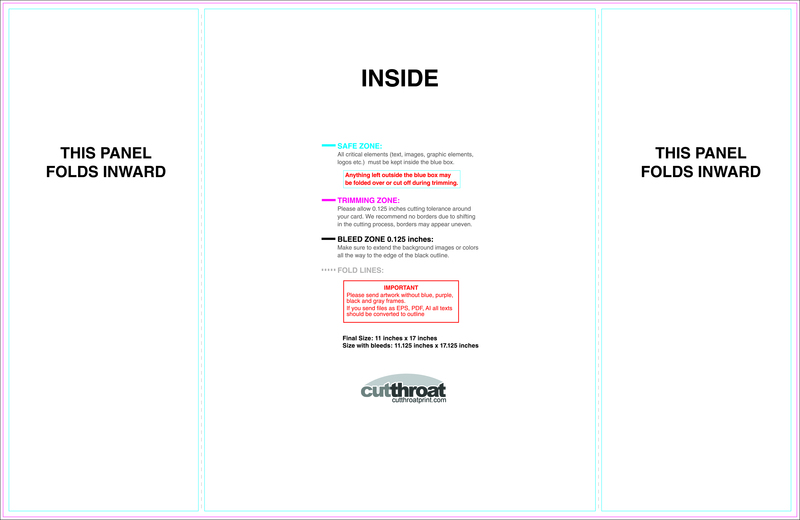 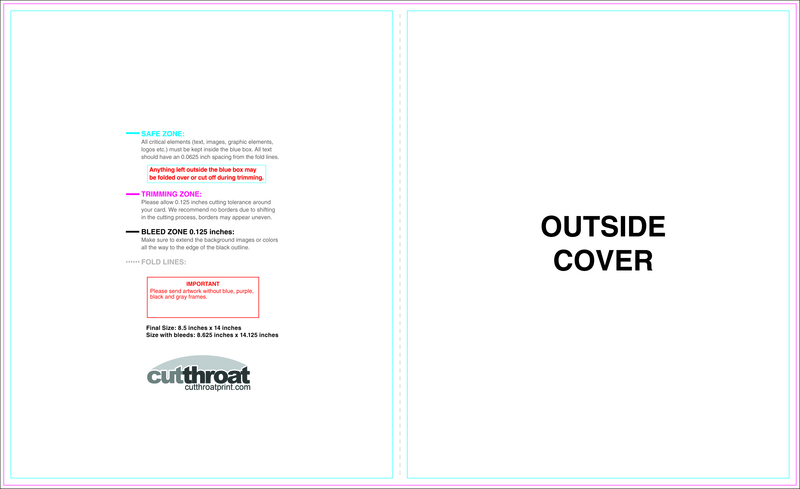 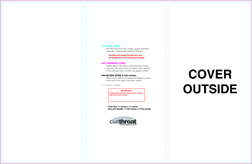 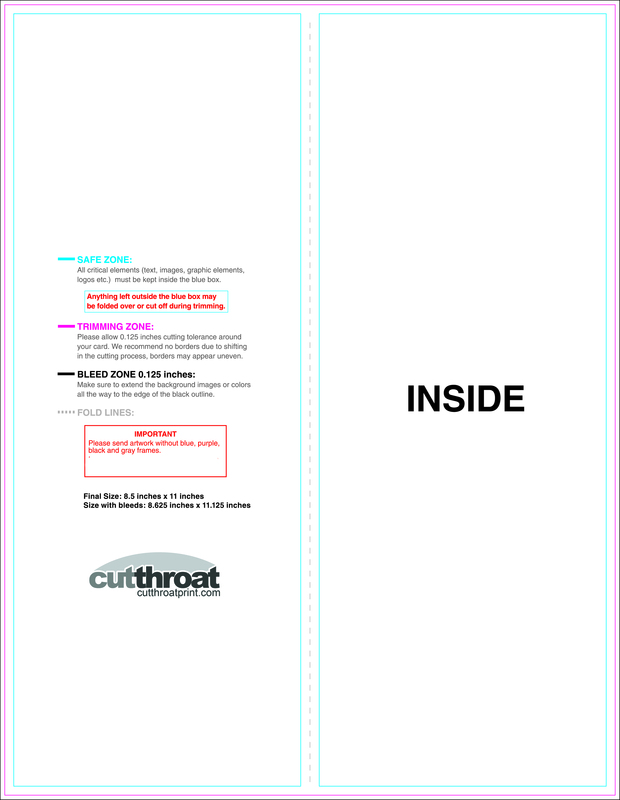 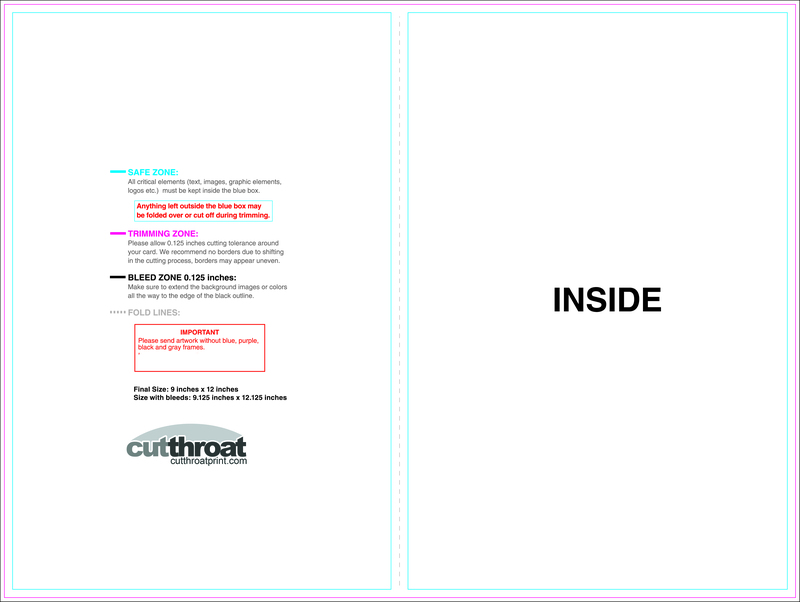 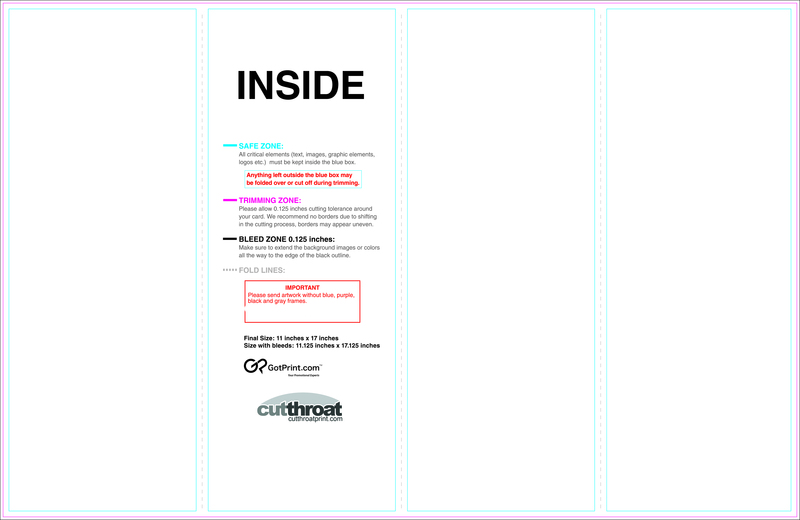 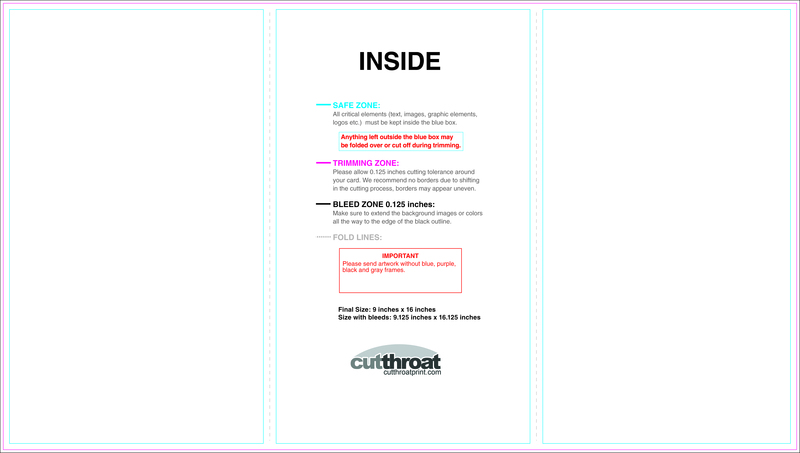 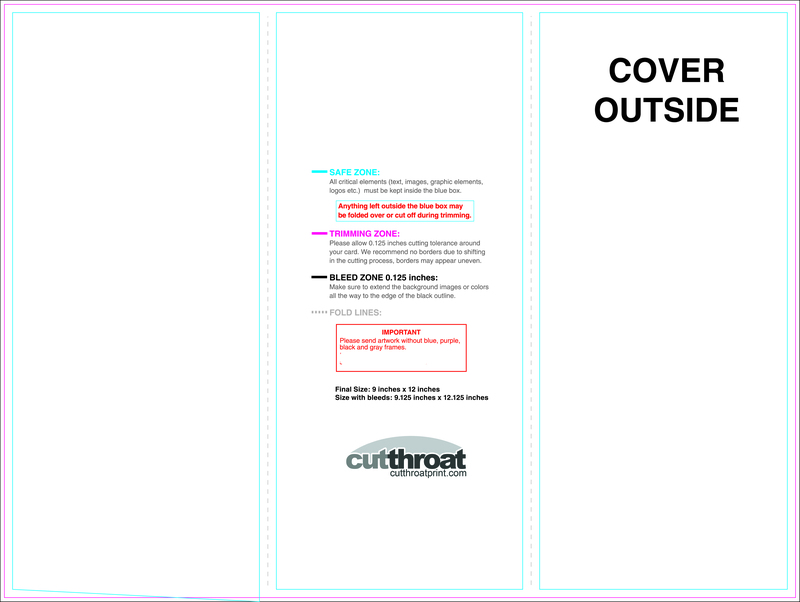 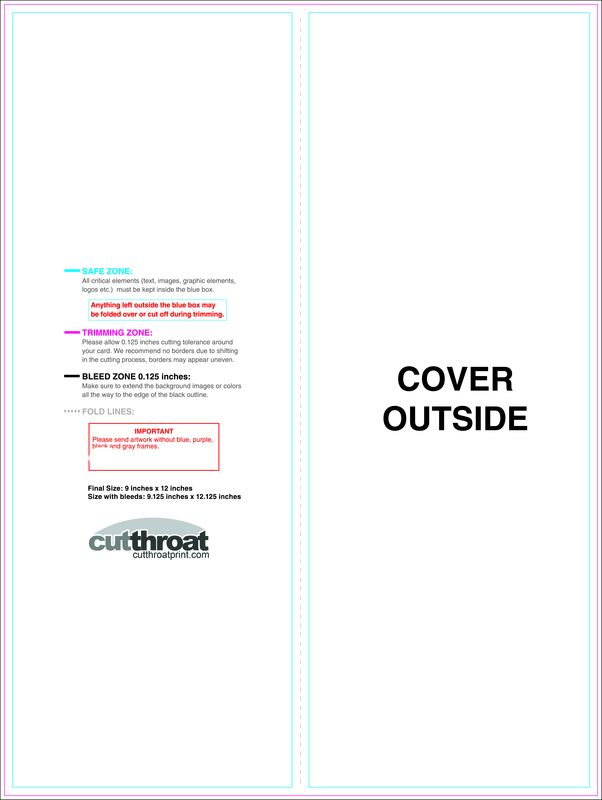 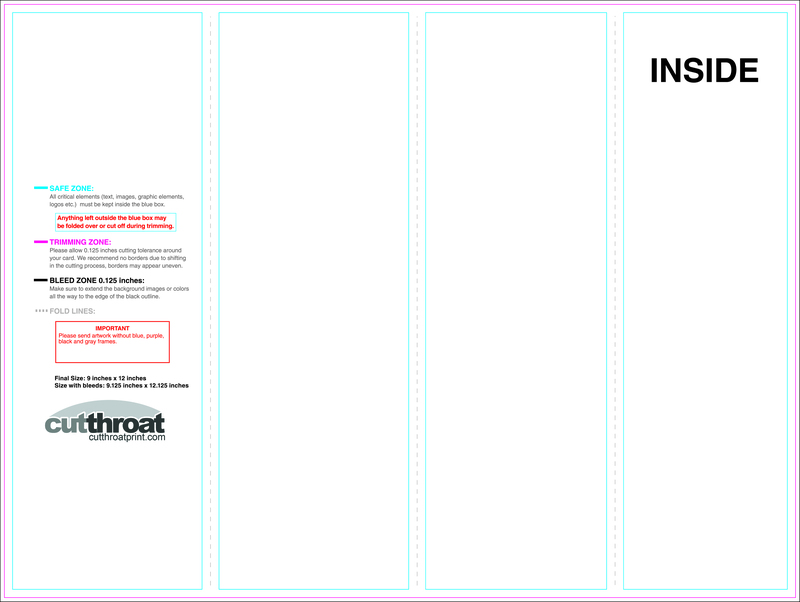 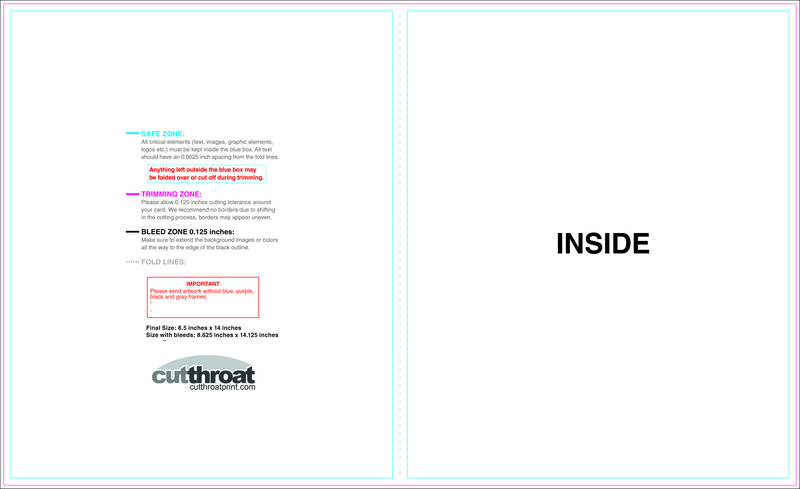 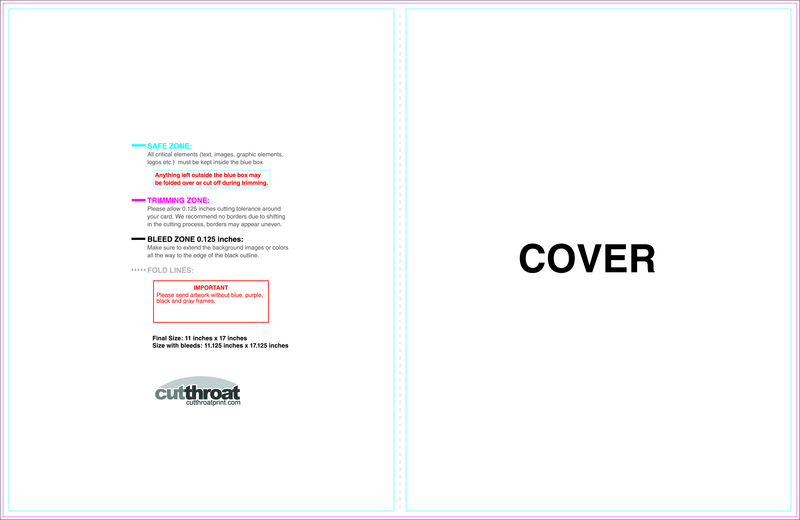 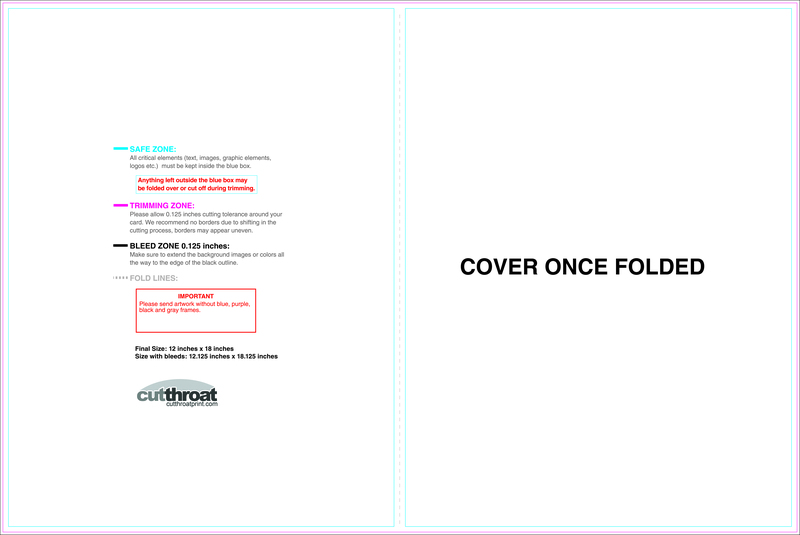 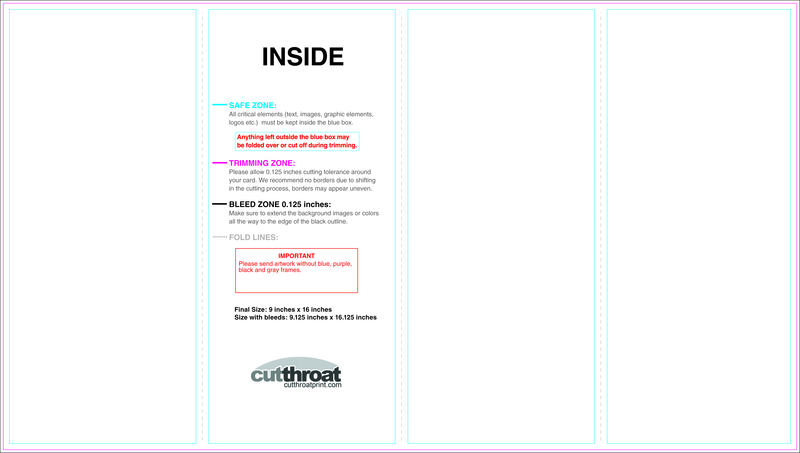 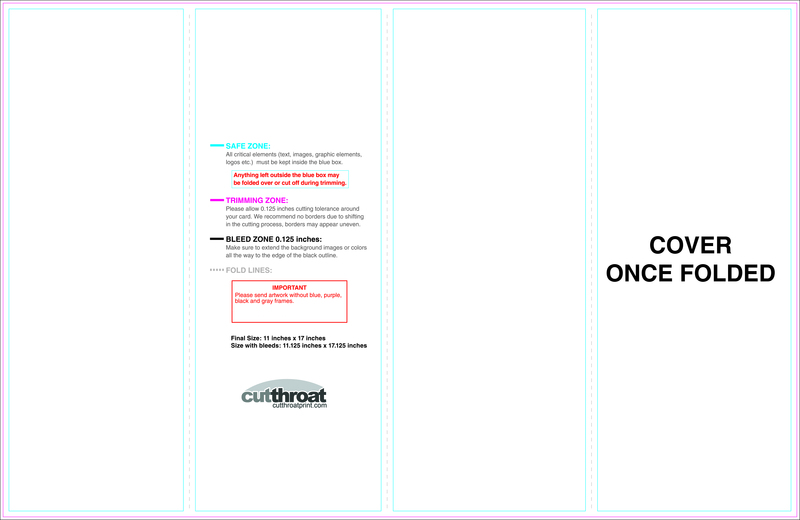 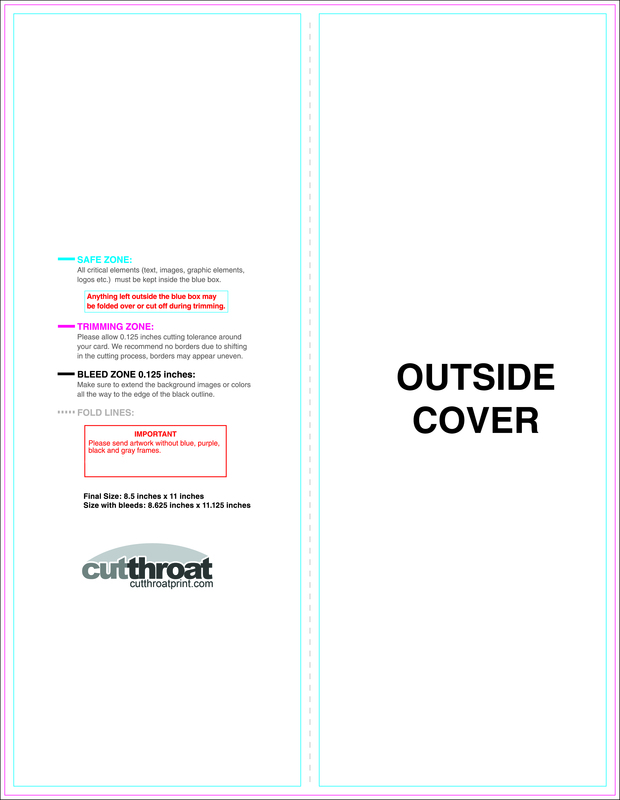 Our brochure product is great for tri-folds, self-mailers, newsletters, booklets, take-out menus and so much more! 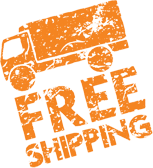 We'd be happy to send you free stock samples. 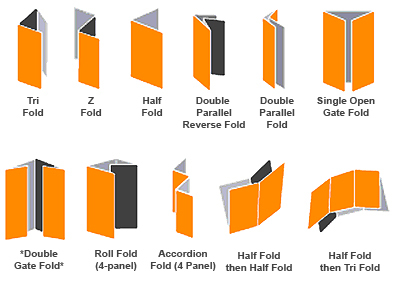 *Add $0.02 p/piece for Double Gate Fold up to size 8.5×11. Request quote for larger other sizes. Design specs for brochures: CMYK images, 350dpi, build print-ready files by adding 0.125″ (1/8″) bleed to width and height. 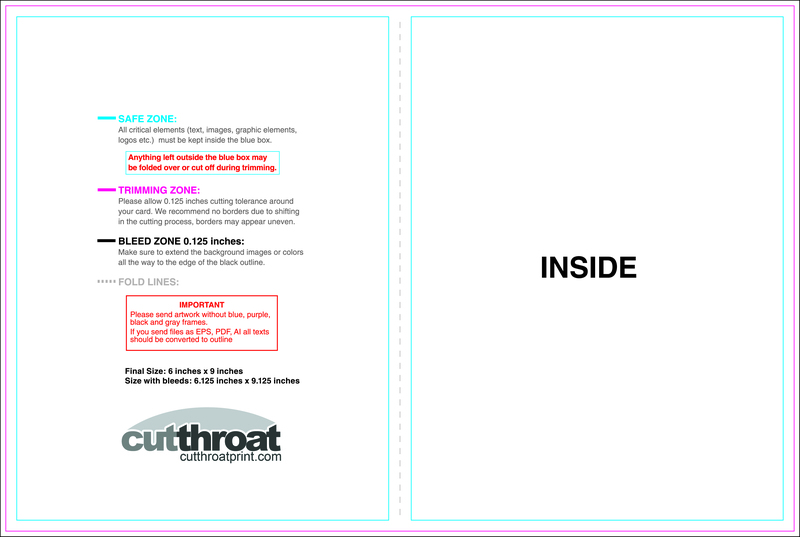 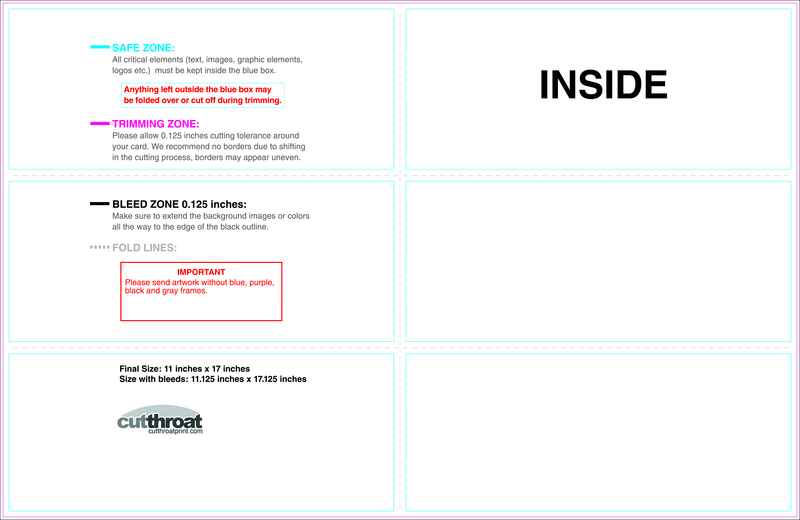 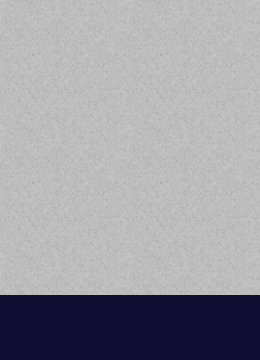 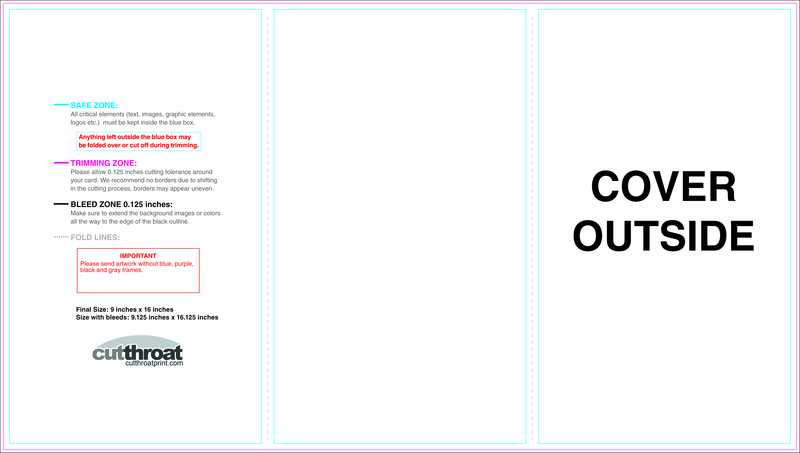 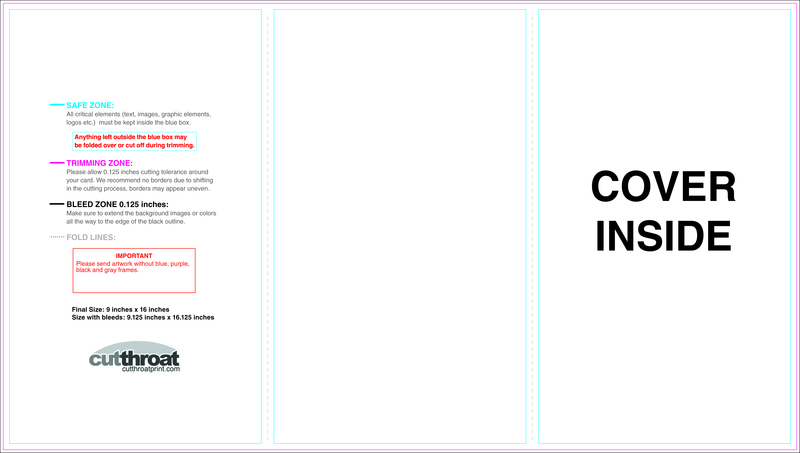 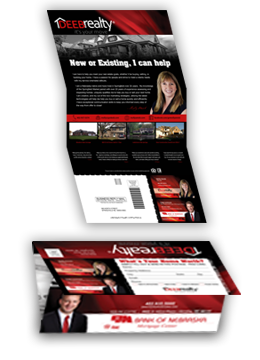 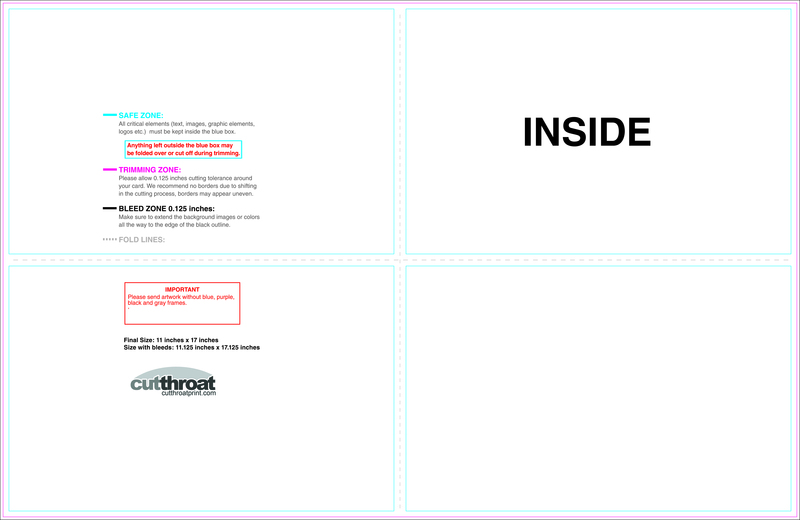 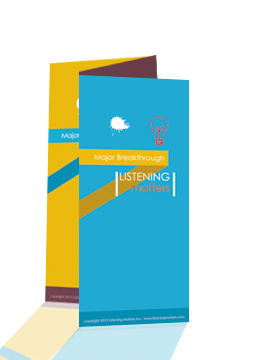 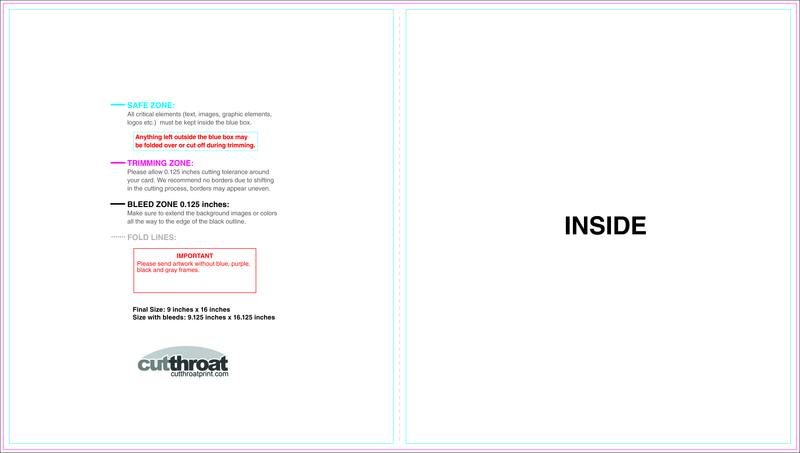 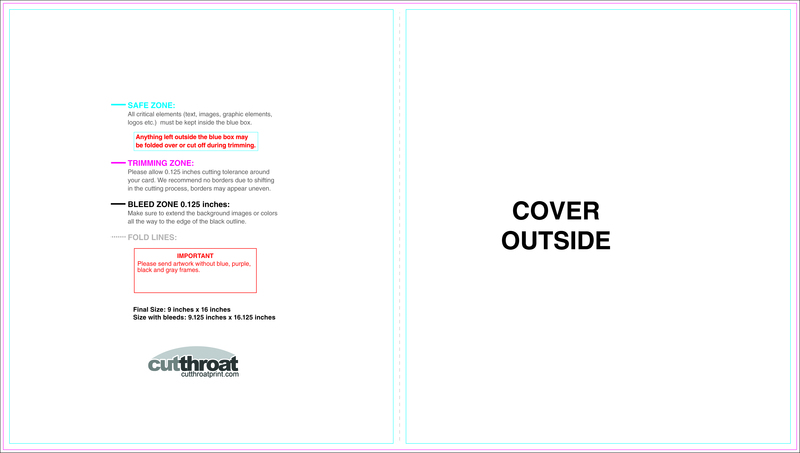 Example: 8.5″x11″ brochure should be designed 8.625″x11.125″. 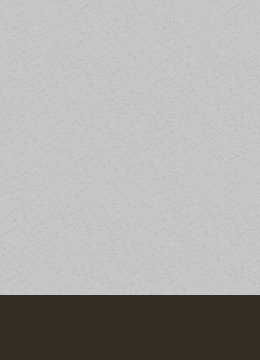 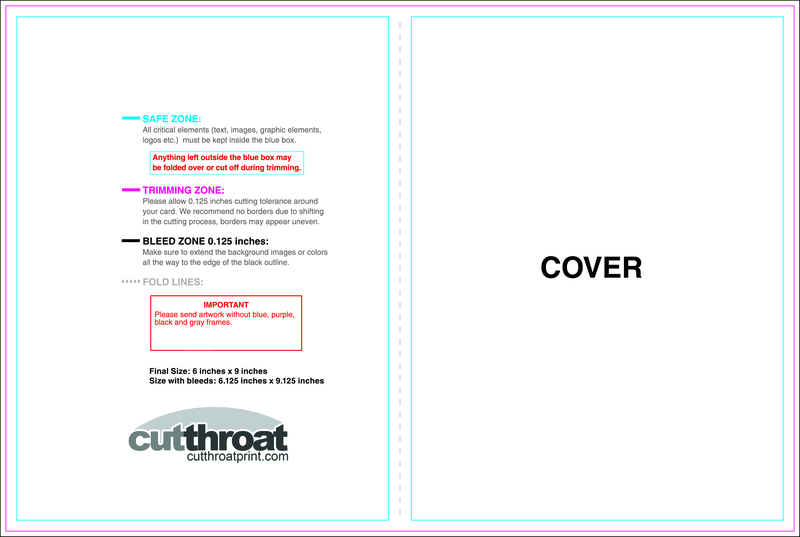 Save as CMYK .JPG or layer flattened .PDF.